I’ve never enjoyed risk. 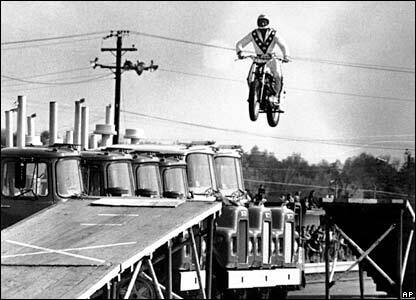 I’d love to say that I was that kid that was jumping bikes off ramps in the back yard, dreaming of that moment, right before the tires leave the ground, flying through the air like Evel Knievel… but I was probably telling the other kids that their ramps were too high. I’ve always liked to have control of a situation, knowing all the angles and only moving forward ONCE I could predict the outcomes. But six months ago something changed. In my free time, I’ve spent the last five years producing a documentary podcast called Congocast. It tells the story of two women who moved to the DR Congo to work with women and children victimized by a war that has taken more lives than any war since World War II. After 200+ hours of footage and seventeen episodes of the podcast, I spent last fall exploring the viability of moving the project to its intended conclusion, a completed film. A friend of mine once wisely told me that there are only 24 hours in a day. Seems simple, but this set amount of time means mathematics play a huge roll in our days. If you are going to add something to your day, you’ll have to subtract something somewhere else. As I outlined the larger story that I could tell about the Congo I began to realize that the time needed to complete this project was going to be more than my current life could accommodate. I walked from my office to the kitchen where my wife was sitting and tried to muscle up the fortitude to propose a big question, “Do you think I should leave my job to finish this documentary?” At first, she didn’t think I was serious. For the last eight years I’ve worked as the Media Director at a large church in eastern North Carolina, where I got to lead a great team of artists and had a steady income, health care and creative freedom. I had a job a lot of people would want. Was it a wise choice to leave this in the middle of the worst economy in generations to chase a dream? We talked about the pros and cons of the situation. Was there any other way to get it done in a timely fashion? Where would the money come from? How long would it take? How would we afford healthcare? What was driving this decision? These questions were trumped by a bigger personal question. What I would tell my son when he is older about the choices I made as an adult? I didn’t want to tell him I played it safe, that I found a way to have fun and be comfortable, but I never took a chance to do what I really wanted to do in life. In the end we made the decision together that I needed to leave my current job to finish the project. I’m in the middle of this journey right now, but one thing I’ve learned so far is that before you take a risk, you can PREPARE. You probably can’t make a game winning shot if you’re on the other side of the court. You have to be in a position to receive the pass and take the shot. Your likelihood of success is influenced by how you are positioned for the moment of risk. I’ve kept a journal for the past seven years where I write down my thoughts and prayers about decisions I’m making. I went back to my journals and saw where I had written about leaving my job to someday go after my dream. I could see where I had been praying about making this decision for over a year and my motives over time. I could see how I had been prepared to leap out. Another area of unwitting preparation for this moment was in our finances. My wife and I have tried in our seven years of marriage to be wise stewards of our money. We’d been able to save in hopes of buying a new home, but when the idea of finishing the film arose, we realized we could use some of our savings to live off to allow me to focus my time on the task at hand. I have until the end of the year to finish the film. Once it’s finished I plan to begin doing freelance work as I begin to put the next documentary project in motion. I don’t know how it will turn out, but I know that I can look back now and tell my son I took the shot—and I can also tell him that I wouldn’t have been able to give it a try if I had been on the other side of the court. You’re probably thinking, “well I’m not a position to take a leap right now.” I agree, you might not be, and neither was I two years ago. But I never would have been if I didn’t start preparing at some point. In fact, I’m still the same guy who will tell you that your bike ramp is probably a bit too high. But when your moment comes to go after something that stirs you, something that you’ve dreamed about, will you be ready to jump? This post originally appeared on daredreamermag.com.